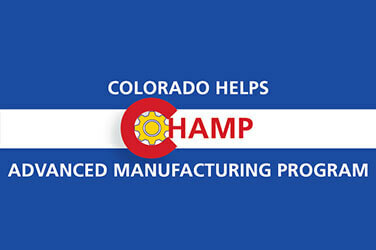 Front Range Community College is launching the Colorado Helps Advanced Manufacturing Program. CHAMP’s partners will increase the attainment of manufacturing degrees and certificates that align with the industry’s recognized competencies, skills and certifications to create a pipeline of highly-qualified advanced manufacturing industry workers. CHAMP will redesign credit for prior learning allowing TAA-eligible students to accelerate toward degree and credential attainment. The colleges will add industry-driven content to the manufacturing program and redesign several courses for online/hybrid delivery.